Prospect and shooter, Anthony Milan, 28, pleaded guilty to malicious wounding by a mob and use of a firearm in the commission of a felony. He was sentenced to eight years in prison. 3 HA, Nathaniel A. Villaman, 28, Joseph Anthony Paturzo, 52, and Richard E. West, 53, pleaded guilty to malicious wounding by a mob and got 4 years. Second shooter, HA Dominick J. Eadicicco, 48, is scheduled for trial March 18. 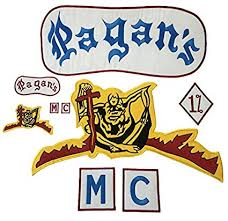 Anthony Milan During the early morning hours of Sept. 10 at the Hometown Inn near Greenville, five men — four full patch and a prospect — were lying in wait after two members of the rival Pagans MC were spotted across the street. The men took off their Hells Angels gear. Roughly 90 minutes later, as the two Pagans pulled into the motel parking lot on their motorcycles, an ambush was unleashed. Four to five gunshots were fired. One of the Pagans was shot, the other knocked off his motorcycle and beaten with a hammer. 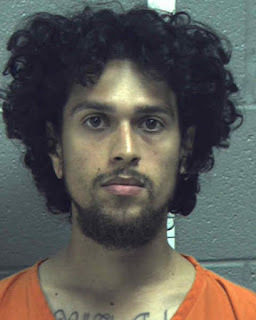 One of two men accused of opening fire is Anthony Milan, 28. 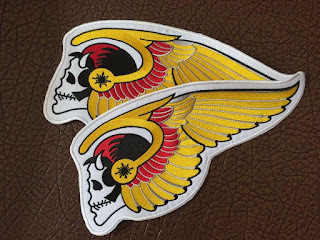 Milan is a prospect of the Hells Angels in New York. Dominick J. Eadicicco, 48, is also suspected of opening fire. Both men were denied bail. All seven remain behind bars.